Canberra qualified as Australia’s capital by being neither Sydney nor Melbourne. The rivalry between the two biggest cities was legendary even then. The conventional view is that Sydney has all the financiers and Melbourne the artists and restaurateurs. But it is not as clear cut as that. 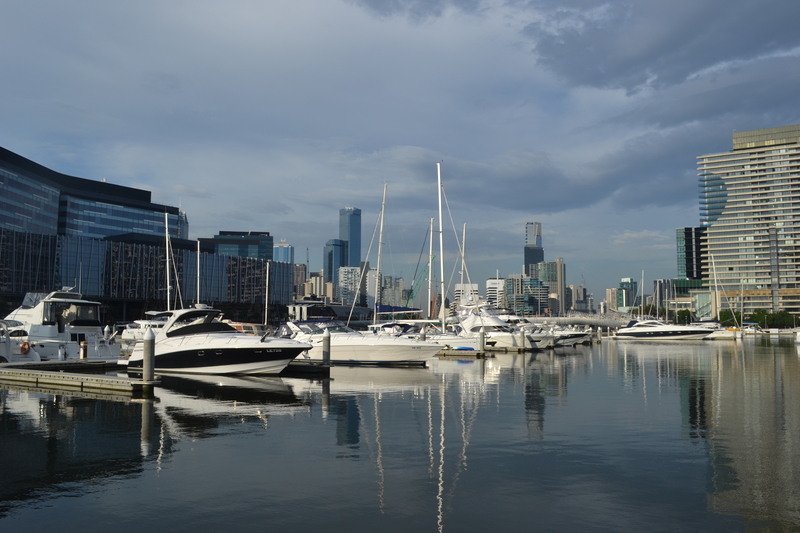 Melbourne was once the biggest city in Australia, the richest in the world. It made its money from gold. But the gold rush ended and the money men gradually moved on to Sydney. Not all of them, though. Two of the big four Australian banks and five of the ten largest companies have kept their headquarters in Melbourne. It is still one of the world’s most expensive cities. Sydney, in turn, has at least as many of Australia’s best restaurants as Melbourne – some authoritative lists give it more – and it is hard to suggest that it is lacking in culture with one of the great opera houses perched on the end of its harbour. I had spent ten days in Sydney already on that trip, and loved it, and after a month of mostly small towns up the East Coast, I was glad to be back in a big city again. Melbourne immediately felt different. Doubtless it, too, has swaggering bankers bellowing into their mobile phones about money; but they are not as conspicuous as they are in Sydney, and I saw only one Lamborghini all the time I was there. 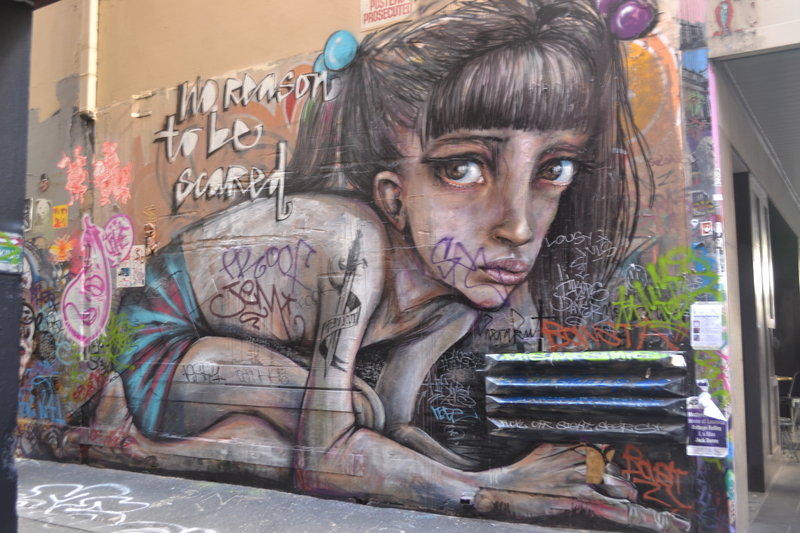 Sydney works hard at being cool – despite the money-mad men in suits – but it is hard to imagine street art flourishing there to the extent that it has in Melbourne. Every lane, every alley is painted end to end with cartoon Buddhas, fluorescent abstracts and politically-charged epigrams. It feels remarkably bohemian for a rich city in which most people, nowadays, must surely do corporate jobs. Sydney looks, to a European, much like an American city; but Melbourne suggests somewhere closer to home. Not Britain, though, as you might expect. The Greek Precinct and the predominantly Italian Lygon Street add Mediterranean notes. But I was put in mind of some romantic, tragic old city in Central Europe as I watched the heritage trams clatter down the middle of the street, past stuccoed buildings with cupolas and epic doorways. I had the same feeling again in the Royal Arcade, with its chequerboard floor and wrought iron roof, its stained glass windows and marionette-like figures of Gog and Magog. Budapest, perhaps; or Prague. Then again looking over the dome and clock tower and monumental staircase of Flinders Street station, which could be a setting for a Graham Greene story of spies and émigrés and whisky priests. 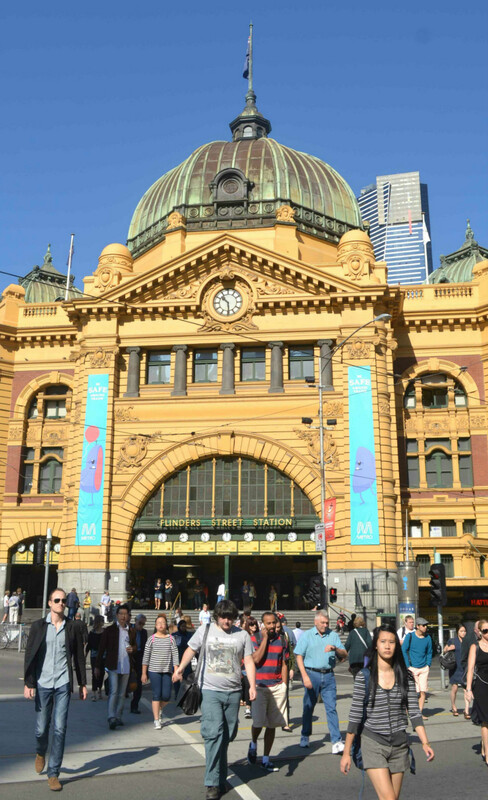 But Melbourne, nonetheless, is a forward-looking city; a city still in flux. The population and economy are growing year on year. The suburbs are creeping out. Tired neighbourhoods are being redeveloped. It has the second, third, fourth, fifth, sixth and eighth tallest buildings in Australia. (Sydney starts at ninth.) The once bustling, and gangster-riddled, dockyards have been turned into luxury flats and a yacht marina with black swans and lively bars. Fitzroy has morphed from one of the seediest quarters into one of the hippest, with enotecas and bodegas, galleries and vintage emporia doing business out of Victorian shops. I ate well in Melbourne. Tapas at the iconic MoVida; pleasingly authentic Sicilian at Rosa’s Kitchen; Mod Oz at a gastropub over towards Fitzroy Gardens, and Cantonese in Chinatown. But then I had eaten well in Sydney too. So which is best, then: Melbourne or Sydney? The old, insoluble argument. It is a sterile debate, because cities cannot sensibly be ranked, except with dry statistics. But after a few days in Melbourne, I was certain I preferred it to Sydney. Then, when I ran out of time and went back to Sydney for my onward flight, I changed my mind and decided that I liked it better. But if I had returned to Melbourne after that I would probably have changed my mind again. Thank you. I don’t think you can rank them, in any objective way. All you can do is say which is your favourite, which is what a lot of the ‘Top Tens’ and ‘Best Fives’ you read reduce to. I hate picking favourites too. People always ask me which has been my favourite country or favourite city or whatever and I always find it impossible to answer. How to compare San Francisco with Hanoi, or Australia with Zimbabwe? As I said in the piece I was genuinely in two minds about these two cities. Both are great places. I enjoyed reading this! I agree, there’s no real way to compare the two. I can say that I fell in love with Melbourne a lot more, as I lived there for several months and grew to know its laneways and inner suburbs much more intimately, but I’m sure I could have felt the same way about Sydney given enough time. We wouldn’t try to compare, say, Seoul and Buenos Aires, so why compare these Melbs and Sydney?